Pet Cemetery Olympia | Petland Cemetery Inc.Pet Cemetery Olympia | Petland Cemetery Inc. Treating Your Best Friend Like Family. Pet urns Washington and Oregon, along with cremation services from Petland Cemetery, Inc., grew out of a need for humane treatment of people’s pets. Petland pet urns and cremation services in Washington and Oregon were established in 1973 by WSU veterinary medicine graduate, Dr. Glenn Hilliard and two other individuals who saw this need.With our primary focus on pet urns in Washington, we also offer both private and non-private cremation services in Oregon for your pet—large or small. Our pet urns and cremation services are suited for pets from under 200 pounds to well over 2,000 pounds. A pet urn is a beautifully crafted memorial. It is a wonderful tribute to the life that touched yours so deeply.Every pet is special, with his or her own unique behavior and character. 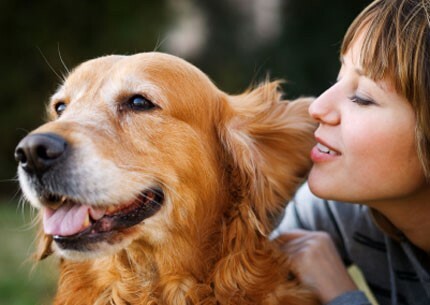 That’s why there are several pet memorials from which you can choose. From the pet urn in which you want to memorialize your much-loved pet to a “Memory Stone,” Petland has wonderful memorial products and services. Pet urns may be engraved to display the name and a treasured photo of your pet. 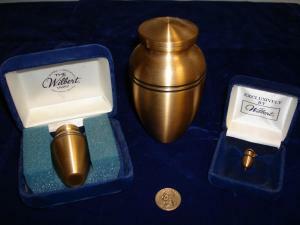 Larger pet cremation urns can also hold remembrances such as a collar, tag, or ball. Pet urns in Washington and pet urns in Oregon (our local service areas) are offered in a variety of sizes and materials. The most popular pet urns are made of wood, using oak wood, maple, walnut, or cherry. Urns are also available in bronze, marble, and other materials upon request.In addition to our wooden pet urns, bronze pet urns, and marble pet urns, we offer many other options for memorializing your pet, such as pendants and name plates. We invite you to explore our products and pricing available on our Products and Services page for your convenience. * Memory Stones are NOW AVAILABLE! Explore the other products and services we provide. It’s very difficult to sayWhat all you’ve done for me,All the places we would goThe things that we did see.The joys we shared,The tears we shed,The lives we touched,The lives we led.Though others try to fill the spaceYour leaving me has made,There’s none can ever take your placeThe way you walked, you played. Dear Lord I pray your soul to keepTo guard you evermore,To keep you safe in loving armsAnd watch you at the doorOf heaven’s gate and fields of gold.Where pets of everyoneWill go to be when they grow oldAnd walk in warm bright sun.To chase the ball or bat the stringIn endless days so freeAnd share the joy that you did bring,Dear Lord I pray to thee. © 2019 Petland Cemetery Inc. All Rights Reserved.